Today’s supermini vans are more stylish than ever and they still keep all the advantages and the disadvantages of the old generations. 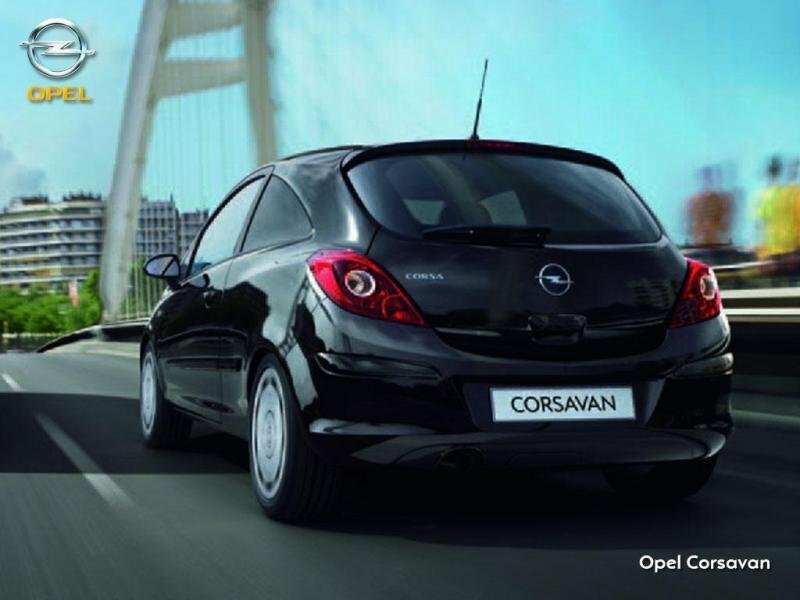 Opel’s Corsavan is among the most attractive vehicles in this class and was designed for those operators who need to deal with only small cargos and drive a lot around town. The old Corsavan had a pretty dull appearance, but the new one looks fairly sporty, borrowing a lot of lines form the bigger Astra model. There new Corsavan is offered with a choice of economical ecoFLEX diesel engines which offer reduce fuel consumption and develop between 69 hp and 93 hp. The maximum payload is pretty generous, the van being able to deal with up to 550 kg regardless of what engine option you choose. As with the older model, the van is based on the three door version of the Corsa and the rear windows were pannelled over. The overall design is pretty sporty and aerodynamic mostly thanks to the coupe-like look. The dynamic appearance of the vehicle is also enhanced by the heavy raked windscreen and the arched roof line. The front grille looks modern too and received a thin chromed bar which gels well with the lines of the clean bonnet. We also like the big, dynamic headlights which feature a sharp and modern design. The front bumper shares the same design language with the rest of the body and features a wide air intake and a nice set of fog lamps. Around the back things get even better and Opel has managed to come up with a pretty nice style that consists of a sporty rear hatch and two petal shaped taillights which add the finishing touch to the exterior design. The Corsavan however, falls pretty short when it comes to load volume as it offers only 0.92 cubic metters which is less than the Ford Fiesta which provides up to 1.0 cubic meters of space. Space between wheel arches is rated at 969 mm with a load height of 924 mm and load length of 1296 mm. On the inside the Opel Corsavan looks pretty modern. The dashboard has a simple and classy design with a small center console and circular air vents which give the cockpit a sporty look. The materials are at par with what you’ll usually find in the segment, the cab being fitted with hard textured plastics. The build quality however is surprisingly good and every fitting received maximum attention from Opel’s engineers. We also like the modern instrument cluster which fitted with three round gauges that glare in a tasty red light. All around visibility is top notch thanks to the relatively thin A pillars and the big windscreen. You won’t have any significant complains about the Corsa’s seats either, though they could’ve come with bolstering for the back, thus increasing comfort for longer trips. Finding your perfect driving position won’t be hard at all, as the driver’s seat comes with a wide range of adjustments, while the steering wheel can be also adjusted for both reach and rake. 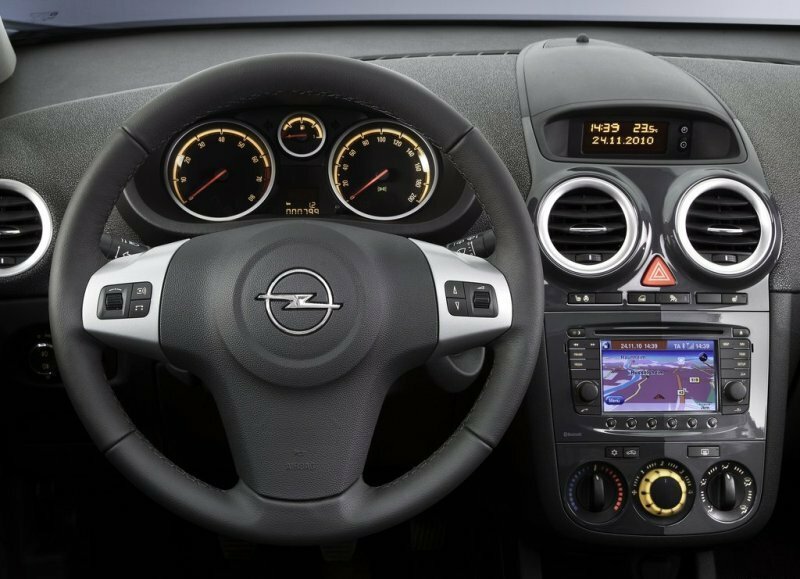 The Opel Corsavan is available with a CD stereo, central locking, air con, electric mirrors and tinted tailgate glass. 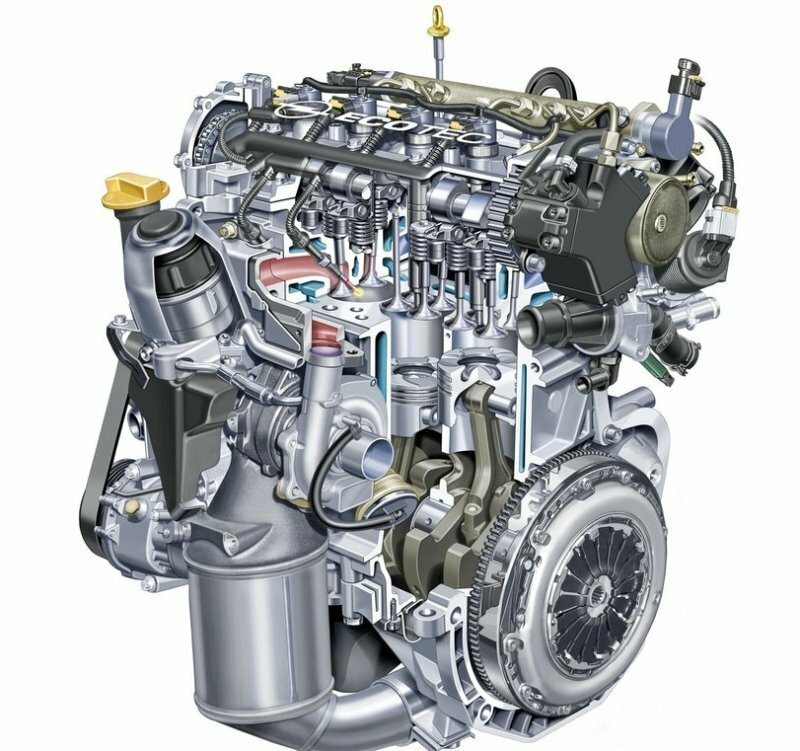 With Efficiency in mind Opel offers for its Corsavan a choice of two engines namely a 1.2 liter petrol and a 1.3 liter DCTi diesel which develop 79 hp and 74 hp respectively. The petrol unit feels slightly weaker than the diesel as it comes with a smaller torque (110 Nm @ 4000 rpm). Though it’s still able to offer pretty nimble performances around town and scores an average fuel consumption of 48 mpg or 70 mpg with the ecoFlex version which offers Start/Stop technology. The diesel unit provides 190 Nm of torque achieved from as low as 1750 rpm which gives it an edge over the petrol unit being able to offer better dynamic performances. The downside is that the diesel isn’t as refined as the petrol unit and when it’s pushed harder it will start to show its noisy character. 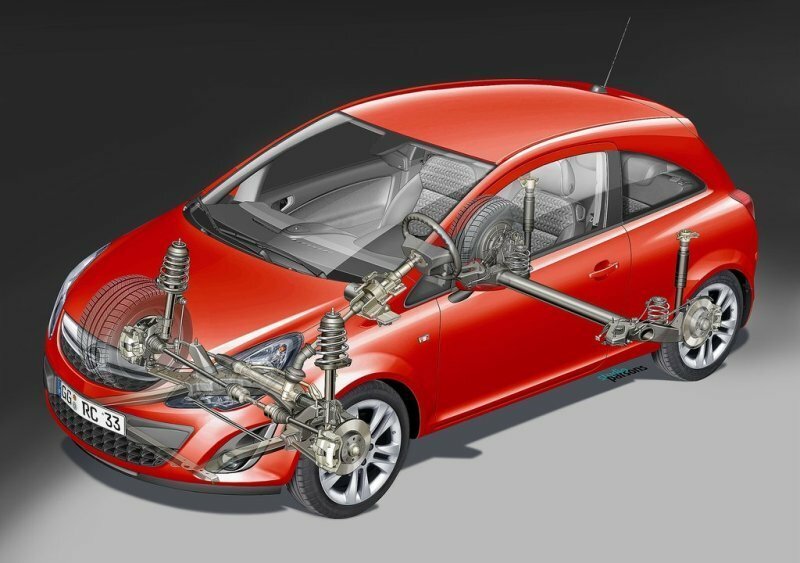 The Corsa offers a very pleasant ride, its suspensions being able to soak up bumps without any hesitation. The body balance it’s also pretty good and the van has good cornering abilities. It’s true that there are a few mini vans that handle better than the Corsa, but the German model has anything it needs to make a compelling case for itself. At low speeds the steering however feels very artificial but it gains some weight at higher speeds rewarding you a better response. Luckily, you won’t have any complains about the brakes as the stop pedal offers a good bite. 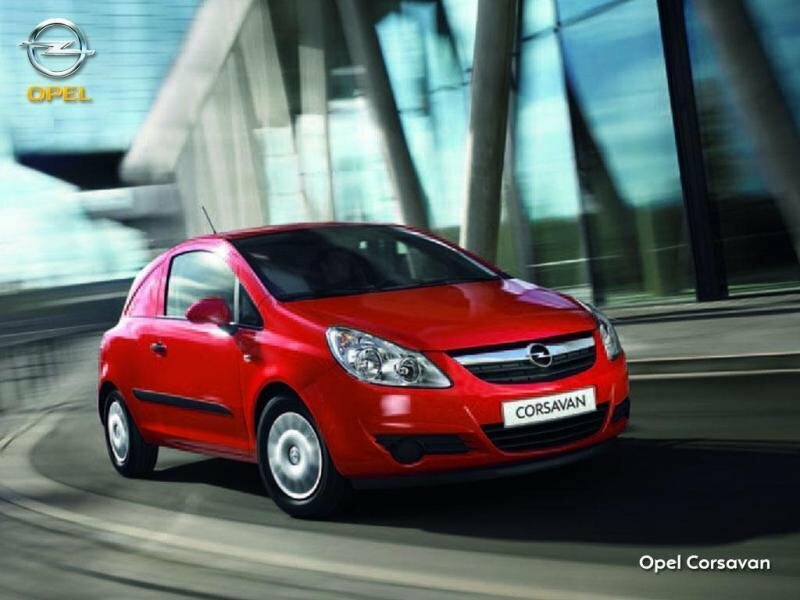 The Opel Corsavan is a fairly good product offering a good mix between agility and practicality. It’s true that it doesn’t offer the biggest load volume in the class but it has a generous payload capacity. The cabin offers a fair amount of comfort and comes with a lot if features designed to make your life in board easier. Not to mention about the build quality which is among the best you’ll find around. The engines are also up to the task and especially the diesel unit provides enough pulling power to keep you satisfied. The price it’s also pretty good and the vehicle it’s pretty cheap to maintain as well.